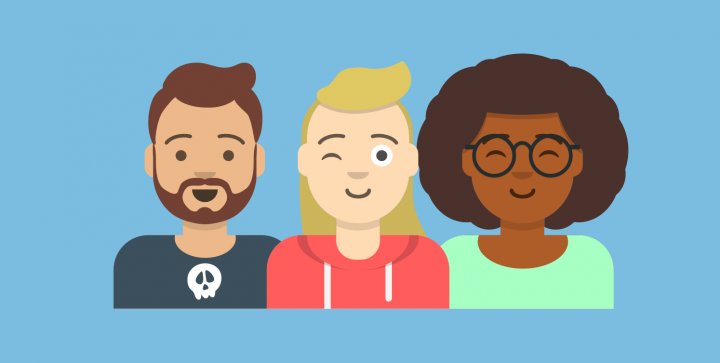 Voice-Enabled Design – Will Drama Teachers Replace All Product People? In November I attended the Web Summit Conference in Lisbon for the first time, where I heard a lot of great stories and interesting presentations on topics about voice-enabled design, from self-driving cars to smart healthcare apps. One little one stuck especially in my mind. On the second day, I went to a talk by x.ai CEO Dennis Mortensen about conversational interfaces. 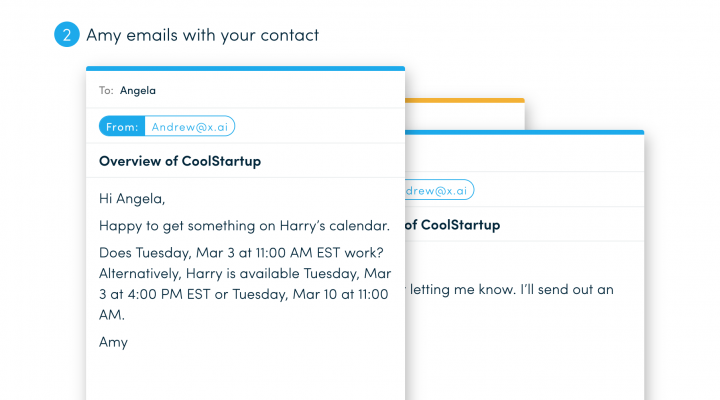 They created a meeting scheduling bot called Andrew, which can send out emails on the user’s behalf and also receives communication from the user via email. Mortensen explained how they designed Andrew’s emails. After several iterations, they decided to hire drama teachers to write the different messages. This allowed them to create the perfect style. After the talk, I just had to constantly think about this question: As an agency UX designer, should I start building design skills for voice-enabled devices or conversational interface design too? Are clever drama teachers going to replace me? How talking to a device differs from watching or tapping it? The shorter learning period and the more human-like medium mean more people can access voice-enabled interfaces. No specific logic to the visual interface needs reading or understanding. People with learning disabilities can access these interfaces more easily. Language can still erect a barrier, though: I use Siri in English since she does not speak Hungarian yet. 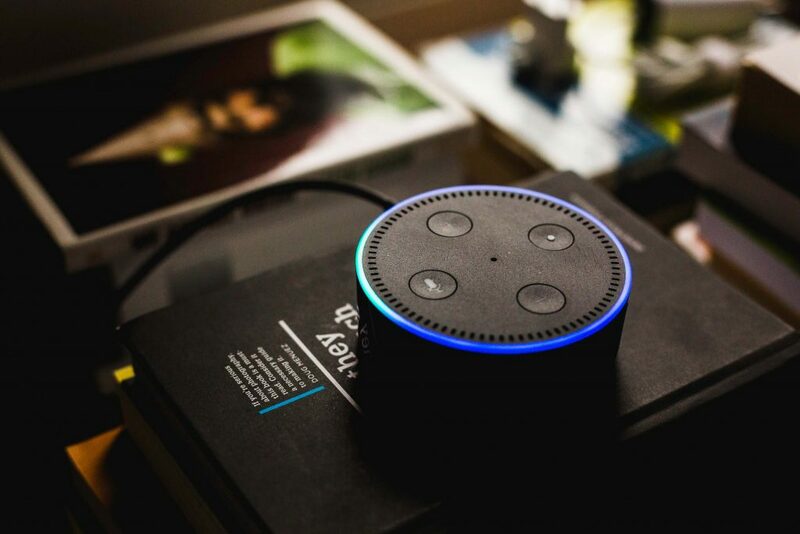 People use voice interfaces because they can interact easy, speedy and hands-free, primarily at home or in the car, as Mary Meeker’s 2016 Internet Trends Report shows. Screens take up much of our life. A Nielsen Company audience report reveals that US adults devoted about 10 hours and 39 minutes each day to watching screens in 2016. Human beings normally use voice to communicate with each other face-to-face. Voice-enabled devices take us out of reality less. Performing a task no longer requires picking up a phone, paying attention to a screen, and searching for an app. Just ask the device to do so, like with a human being. How will voice-enabled design change our work in the long term? First, it might not change the work of every product designer and manager. A 100% transfer to voice-enabled design or conversational interfaces will not likely fly in all cases. Showing more complex groups of information and managing more difficult tasks still require a visual interface. But hearing of the man who cut a hole in his apartment wall to use Google Home in both rooms, well… I got suspicious. Prepare for a voice-enabled era. Should we learn to write rather than sketch? Of course, the medium itself differs. Copy and words feature importantly in visual interfaces but will become even more important as the only medium in devices with voice-enabled design. Should we learn to create personalities? Since the interface cannot remain neutral, it will take on some kind of personality – but what kind? How are we designers are going to plan and create it? Mortensen also told us that 11% of their users usually thank their bot after conducting a task. Ever want to say “thank you” to Microsoft Word after saving a document? Of course not. In the era of conversational interfaces and voice-enabled devices, we have to accept that our design decisions will have even more impact on the users’ feelings. Since they will communicate with a human-like device, they will also have greater expectations and greater disappointments if we fail. How to adapt to voice-enabled design? I have always known how to improve my visual design skills. I just searched for great design inspirations then created something new based on them. I’d start a small exploratory side project. Or I’d participate in a design challenge here at UX studio. Or I’d just copy some designs which I really liked for fun. Whenever I felt stuck, I could turn to the internet, the dribbble community and thousands of different visual materials to help me. But designing voice-enabled interfaces, I felt stuck. How should I start practicing? Well… just do what you did practicing visual design. Just like scrolling through dribbble to find visual inspiration, listen to other people’s ways of talking. When you hear an interesting conversation on the bus, write it all down or just eavesdrop. Observe the grammatical structures, the style and the different personality traits which can later come up in designed conversations. Learn from the big ones – Do not touch the iPad for a day; just talk to it! This method completely drove me crazy, but it totally paid off! Since Siri does not always get my Hungarian accent, talking to her every time I wanted to do something on my iPad could frustrate me a bit, but I learned a lot. Most importantly, I learned to pay attention to the barriers, problems and different possible user scenarios. We can now create a whole personality, one of the exciting and most challenging things about voice. Previously, designers might have only helped determine the tone of copy, color schemes or image guidelines. Certainly we know how to change the interface style visually. How do we create this kind of impression in conversations? When starting to write dialogues, like with copy on a visual interface, reading them out loud can help refine the style and personality of the text. Play around with different ones. What would a bank assistant’s answer look like? Or a college student’s? A butler’s? How could we make it friendlier? Or more serious? Of course, building a mini voice project delivers the best results. Learn about the process itself and the various problems and questions that arise. I have started a small project by myself too, and I’m planning to share all my learnings later on, maybe in the next article. Amazon’s voice design guide and Lyndon Cerejo’s article about designing voice interfaces helped me a lot in this process. User testing in voice interfaces can prove much more difficult. If you design a test for a set of dialogue flows and give the initial prompt, users can say it in any number of ways: “I want to buy…”, “I need…”, “Can you please send me…”, etc. etc. How will you test a prototype without the whole technology already in place? Test voice UIs within the design team by role-playing user and voice agent to hear the dialogues. This effectively checks how the experience sounds. Or use voice prototyping tools like Sayspring. Ultimately, I don’t think drama teachers will replace us all. But as product designers, we need the capacity to change our skillsets whenever it is needed. With visual UI shifting to conversations and voice-enabled interfaces, we can make our devices more inclusive and communicate with them more like with other humans. For these goals, learning new skills certainly pays off. Do you have any experience in voice-enabled design? Have you ever used or created any voice-enabled design? Let us know in the comments! Oh, and one more thing: there is an additional reading for you! Check out our Product Design book! Worldwide shipping is just a cherry on top. I loved this! Totally inspired a new article I’m writing myself. Thanks for putting this together! I am making my own baby steps in the VUI field and I have no doubt this is “the next interface”. Thx for a great article! Great article and helpful resources. I’m working on a voice side project now, and your advice is going to help make it so much better.